While cellulite creams are used at all times of the year, it is surely Spring and Summer that most women feel of their use like somewhat an issue of urgency. So, I thought to start with a review of Body Mery Cellulite Gel Cream with Caffeine, which is a particularly popular among users mainly because of its effectiveness and the positive results it offers quite fast. Let’s see what people love in this cream and what can be a bit offsetting for some users in the beginning but they tend to get used to those after a while and have no problem. First, let’s have a quick look at the product’s features. Comes in a 4 ounce container. Key ingredients: Caffeine, Retinol and 3 types of seaweed. This synergistic blend of ingredients reduces the appearance of bumps and lumps, firms and tones while also helping circulation and reducing fat storage. It is designed to glide over large skin areas and feels refreshing. 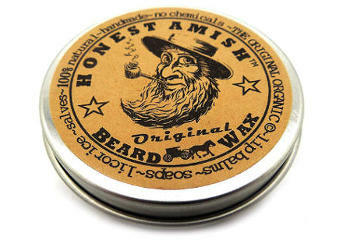 It absorbs quickly and doesn’t leave a greasy residue. It gives a tingling and cooling sensation. 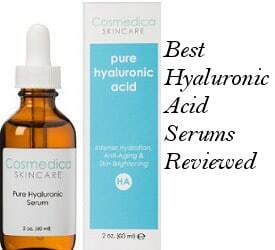 The Retinol percentage is 0.4% as recommended by experts and there are three types of seaweed (Kelp, Algae extract, Dulse) which provide an antioxidant boost. Organic Herbal Mix, Organic Aloe, MSM, Sodium Stearate, Kosher Vegetable Glycerin, Organic Coconut Oil, Menthol, Cetyl Alcohol, Caffeine, Algae Extract, Japanese Green Tea Leaf Extract, Fragrance, Organic Sweet Almond Oil, Hydroxyethyl Cellulose, Carrageenan Gum, Retinol, Kelp, Dulse, Wildcrafted Horsetail, Organic Cayenne, Apricot Kernel Oil, Vitamin E, Sodium Benzoate, Potassium Sorbate, Phenoxyethanol, Ethylhexyl Glycerin. Apply the cream on clean dry skin. Massage it on the cellulite areas daily, every morning and night. What do the Body Merry Cellulite Cream Reviews say? Reviews about Body Merry Cellulite Gel Cream are very positive with people stating that this is the only cellulite cream that has ever worked for them. So, let’s see what users liked in particular and what they weren’t so fond of in the beginning but got used to it after seeing the great results this cream had on their cellulite areas. Tightens Skin: Users find that this cellulite product tends to tighten skin leaving the treated areas looking and feeling firmer. They also feel that the tightening of the skin helps to smooth things out. Lumps Disappear: It helps to reduce those cellulite lumps. Areas with only a little bit of cellulite get incredibly smooth and tight while for areas with a lot of cellulite it takes longer to see good results. Can See Difference in a Short Amount of Time: Most users see a noticeable difference within a couple of weeks, which gives them plenty of time to determine if this cream is working for them before the time period of the 100% guarantee expires. Not sticky feeling: Another advantage of using Body Merry Cellulite cream is that it doesn’t feel sticky on the skin, which is very positive for any period of the year but particularly good during the warmer months. Menthol smell: Because of the Menthol, this product’s smell seems to be a bit strong for some while there are others who tend to like Menthol’s smell and don’t find it unpleasant. Still, the smell goes away in some minutes. Short Tingling feeling: Users say that after applying the cream, they get a tingling feeling for a few minutes but people don’t seem to have any problem with that since they feel that this way the cream is actually working. Cooling effect: A few users have mentioned that it has a cooling effect which lasts for some minutes. Some don’t mention anything that is negative about it while for others this cooling effect feels a bit stronger. 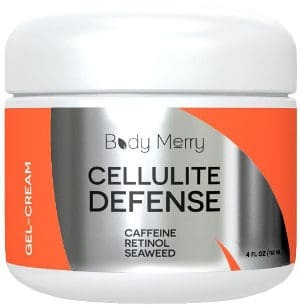 After reviewing Body Merry Cellulite Cream With Caffeine, I can say that this product has a lot of fans that are really pleased with its performance. The specialized formula of active ingredients which are natural and organic at a large percentage combined with the good reputation of Body Merry skin care company and their full money back guarantee makes this cream a really worthwhile option for you to try out. 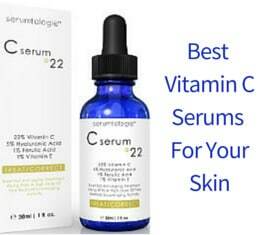 For more options, you can have a look at our review of retinol creams for cellulite.